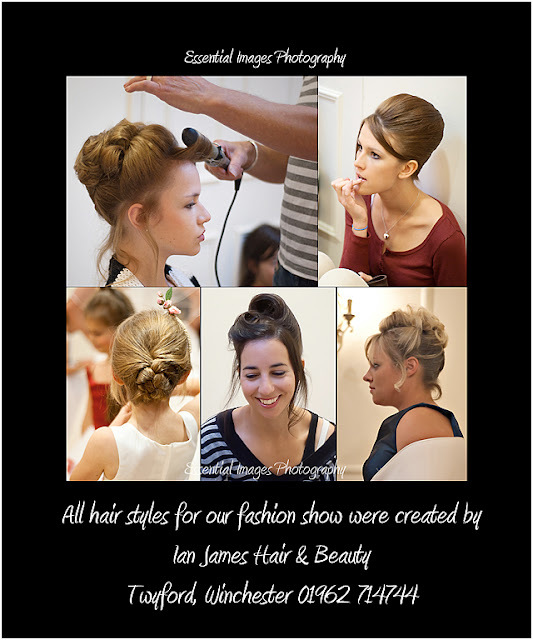 These are just a few of the wonderful evening and bridal hairstyles that Ian James created for our Charity Fashion Show at Careys Manor. We were absolutely stunned and wowed by the way he professionally and efficiently styled the hair of seven ladies and three bridesmaids in such a short time! He then went on to wow our audience when he entertained them with his singing and dancing! We were very lucky to have such a talented chap at our show! Thank you so much Ian.